Mr. Game & Watch. 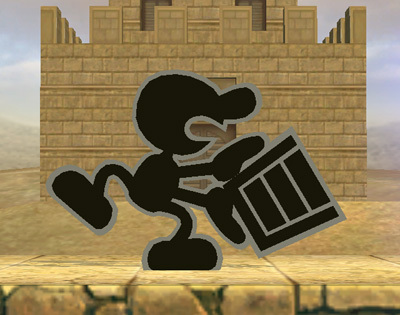 Mr. Game and Watch is a returning hidden character in Brawl.. Wallpaper and background images in the Super Smash Bros. Brawl club tagged: super smash bros. brawl veteran hidden game watch. This Super Smash Bros. Brawl photo contains স্কুল, বাদামি, রাস্তায়, শহর দৃশ্য, and শহুরে. There might also be সরাই, ট্যাপ ঘর, সারি ঘর, শহরে ঘর, ব্যবসায়িক জেলা, and শহরের কেন্দ্রস্থল.